If you live in a place with winter snow and ice, you know how slippery it can get. Even with the best boots, ice cleats are necessary to get full traction on the ground. It only takes one good fall on the ice to ruin your day, end up at the chiropractor, or even break a bone… regardless of what type of boots you wear, add-on ice cleats can save you from an accident! 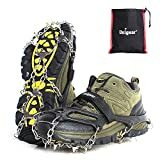 Here are our reviews of the most popular winter ice cleats and the research you need to make a good decision without wasting time exploring all of the lesser options. Our #1 pick for people that need sure-footed traction in any winter conditions are the Unigear Traction Cleats. They come with great features, a medium price, and excellent reviews. The obvious difference with these are the stainless steel crampons and sharp cleats that are held in place with chains. 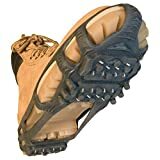 A balance of 1/2″ spikes in the forefoot and heel bite into ice and snow throughout your stride, even on descents and when you traverse the side of a hill. Extra-thick and stretchy Thermoplastic Elastomer bands wrap high around your boot to keep the traction in place under your foot. They are available in both black and orange colors. Plus, an adjustable strap over the top of your foot ensures a better fit and that you can’t twist the cleats off when running, climbing, or working. 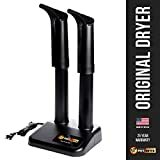 Finally, the price of these falls right in the middle of all of our reviewed options, so you are getting a lot for the money, especially compared to other brands that offer nearly the same design for twice the price. 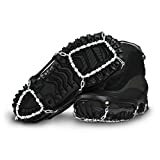 Whether you are climbing a steep, icy driveway or hiking a steep snowy mountain, these are proven to do a great job. A big step up from the STABILicers Walk shown below, the STABILicers Maxx are a heavy duty option built for people that work and play in the winter elements. Heat-treated steel cleats dig into snow and ice to provide stability and are strategically placed to provide traction through the natural stride of your step. Each individual cleat is replaceable, in case you wear them enough that they eventually wear down. To ensure a secure fit, the SureFit Binding System wraps all the way around both your ankle and toe so that the cleats stay in place during strenuous activity. While these are the most expensive option in our list, they also get some of the highest reviews from working professionals that need reliable traction. Made in the USA. If you need more aggressive traction for everyday tasks, then check out the ICETrekkers Diamond Grip Cleats. They cost a bit more than the options below, but you get upgrades in almost every feature. The steel “diamond beads” have hundreds of biting edges that grip terrain in all directions. 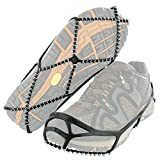 The elastic tension traps that hold them on your footwear are thicker, stronger, and wrap up the sides higher than the less expensive competition. The traction beads move freely on steel aircraft cable and self clean to prevent snow and ice buildup. Some people complain that they can still break if you are very active but overall, they get good reviews. If you pick up a pair of ice cleats at a local store, you are probably getting something like the STABILicers Walk. These cleats wrap around your boots and are held on by the tension of the rubber straps. 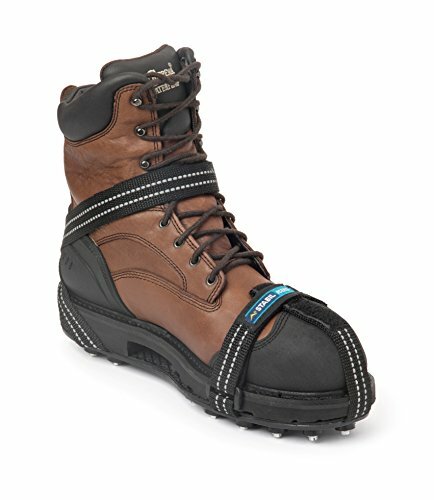 Multi-directional cleats provide traction in snow and ice without creating too much of a rise under your feet. They are easy to put on and take off, but to be sure they stay on, it is very important that you get the right size. Some people complain that they run small. Made in the USA and inexpensive, these are a good option for getting extra traction in everyday situations. They are very popular with lots of good reviews and even come in a range of many colors. However, the rubber bands are not the strongest and can break when pushed too hard. Also, if yours are too big for your footwear, you run the risk of them falling off and and getting lost in the snow. For some people, the Yaktrax brand is synonymous with ice and snow cleats. The Yaxtrax Walk is both the most rated and cheapest option in our review lineup. 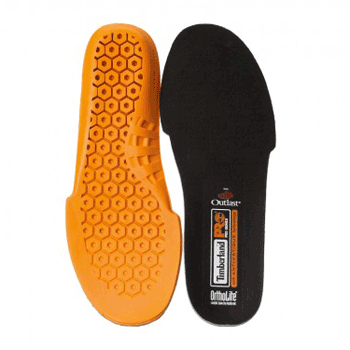 They are made to provide basic traction and be easy to take on and off. Zinc-coated steel coils provide traction and are held on by the tension of the polyelastomer outer bands. While the coils can grip ice and firm ground, they don’t have any points or edges that really dig deep. Sizing is very important to keep them on your boots and the elastic bands are thin, so it is possible to break them with too much tension or twisting. No matter how careful you are, a slip and fall can happen on snow and ice. Get the traction and confidence you are missing with a pair of ice and snow cleats. They’ll pay for themselves in every storm this winter!